Halloween is a favorite holiday around here, right up there with Santa and Christmas time! All are great opportunities to visit with friends, family and even neighbors that you don't see all that often! Especially love seeing all the children dressed up in costume! But it's not just for the kids anymore, PETS get dressed up too! We travelled to Williamsburg, Virginia last weekend for their Parks & Recreation CANINE CARNIVAL at the Waller Mill Dog Park - where we had a little Halloween set up to photograph all the attendees' furbabies! Here are some of the photos from that day - Which is your favorite?! If you'd like photos of your furbabies for Halloween, you are in luck! First come, first serve on OCTOBER 28th - we'll have keepsake prints available to take home with you at our studio! Check out our FACEBOOK page event to let us know you are attending! Certified Professional, Master Photographer, Erin Clark, spends several weeks each year traveling around the country, specifically in the Pacific Northwest. 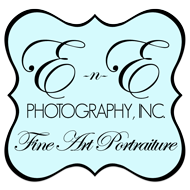 The rest of the year, she resides in the city of Virginia Beach with her retired US NAVY, husband, Eric (the other 'E' in E-n-E), their son, three pups & 2 cats, spending most days at E-n-E Photography, Inc., their London Bridge Rd. studio. If you are not in the Virginia area and are looking to book a session with Erin, please contact her for dates.